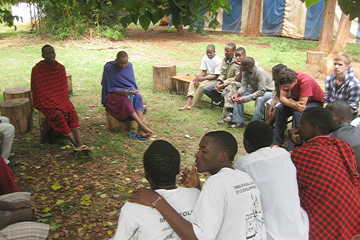 From the 1st to the 12th of December 2010, two hundred young people from a dozen East African countries and beyond took part in meetings organised by the brothers of Taizé at Mji wa furaha – Nairobi. It was necessary to leave the chapel door open and to add extra benches so as to welcome all the participants for the common prayer, three times a day, which gave rhythm to the days. 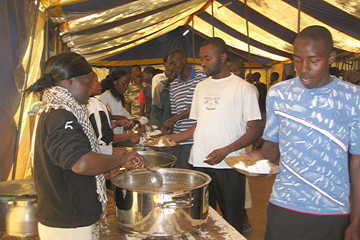 One afternoon was devoted to visits to places of hope: some groups went to help at ‘Boma Rescue Centre’, a centre for the disabled run by the Missionaries of Charity, where street children are welcomed. 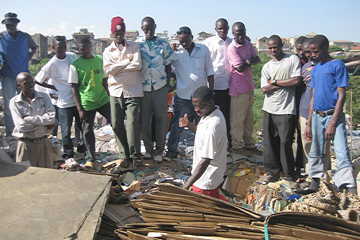 ‘Mukuru Recycling Centre’ is a co-operative where forty or so young members have come together so as to improve the profitability of their work sorting and salvaging from the Nairobi rubbish tip. ‘Glucola Cyber Café’ is an initiative by young people of the Babadogo district who wanted to contribute to taking their district out of insecurity, improving hygiene, and creating jobs… Everything began with the voluntary collection of rubbish. 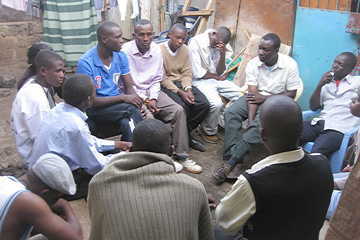 Next they were able to open a cyber café, then to buy some motorbike taxis. 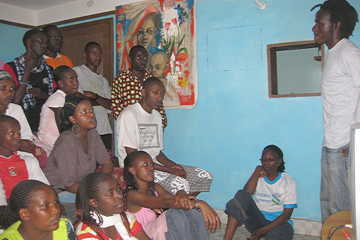 Longinos, a young artist from Korogocho, welcomed a group at his studio and explained his search to paint the beauty of the women of the shanty town. Today the East African Community is coming into being: visas are no longer necessary for certain countries, the road network and bus services are improving. Unimaginable one or two generations ago, young people can now move around. Study, commerce, sport are opportunities for crossing frontiers. Young Christians, aware that they share the same foundation of faith in Christ, can also weave fraternal links in the region. This is a significant contribution to peace. 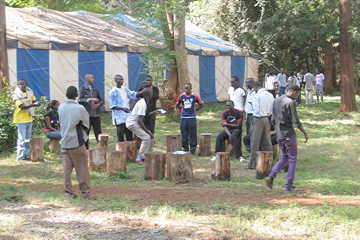 Inviting young people to make themselves available for a few days, and to give priority to prayer, silence, meditating on the Word of God, sharing in a common life, is to witness to the work of God which, as the days pass, makes groups of people who are strangers to each other into a fraternal community. At the end of their stay each person told, in their own way, of their surprise at this way become possible, of the transformation of their initial worry about the simplicity of the setting and means, into the depth of links established; the journey from a prayer, initially approached with prudence and from outside, to a silence which widened the heart.